Brunel Surveys Ltd may collect information from you because we have a legal reason (allowed by law or under contract) to collect the information, or because you have consented for us to do so for a specific purpose. You have the ability to accept or decline cookies. Most Web browsers automatically accept cookies, but you can usually modify your browser setting to decline cookies if you prefer. If you choose to decline cookies, you may not be able to fully experience the interactive features of the Brunel Surveys Ltd website you visit. Brunel Surveys Ltd keeps track of the websites and pages you visit within midwinterwebdesign.co.uk, in order to determine what portion of the Brunel Surveys Ltd website is the most popular or most used. This data is used to deliver customised content and promotions within the Brunel Surveys Ltd website and Service Portal to customers whose behaviour indicates that they are interested in a particular subject area. Why does Brunel Surveys Ltd collect Personal Identifiable Information (PII)? What legal basis does Brunel Surveys Ltd have for processing PII? Who might Brunel Surveys Ltd share PII information with? Brunel Surveys Ltd may, from time to time, provide third parties with data that has been anonymised, which means that your personal information that could be used to identify you has been removed from the data. Brunel Surveys Ltd primarily store and process PII data electronically. Refusal to provide Brunel Surveys Ltd with personal information? If the personal information is necessary in order to supply goods or services to you under a contract between you and Brunel Surveys Ltd, then we will not be able to enter into that contract or provide the products or services without that information. The right to be informed – Brunel Surveys Ltd is publishing this Privacy Notice to keep you informed as to what we do with your personal information. We strive to be transparent about how we use PII. The right to access – the right to access your information. 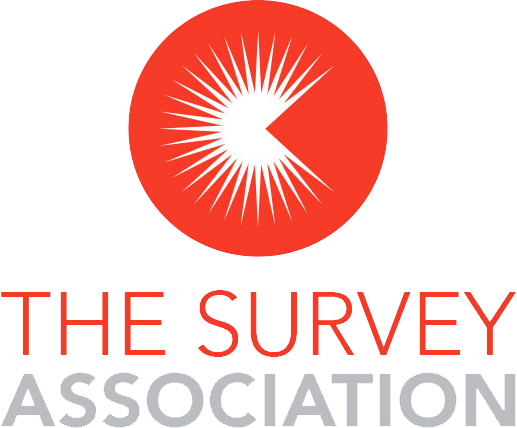 Contact Brunel Surveys Ltd if you wish to access the personal information Brunel Surveys Ltd holds about you. The right to rectification – if the information Brunel Surveys Ltd holds about you is inaccurate or not complete, you have the right to ask us to rectify it. If that data has been passed to a third party with your consent or for legal reasons, then we must also ask them to rectify the data. The right to erasure – sometimes referred to as ‘the right to be forgotten’. If you want Brunel Surveys Ltd to erase all your personal data and we do not have a legal reason to continue to process and hold it, please contact us. The right to restrict processing – you have the right to ask Brunel Surveys Ltd to restrict how we process your data. This means we are permitted to store the data but not further process it. We keep just enough data to make sure we respect your request in the future. The right to data portability – Brunel Surveys Ltd must allow you to obtain and reuse your personal data for your own purposes across services in a safe and secure way without this effecting the usability of your data. The data must be held by us by consent or for the performance of a contract. The right to object – Data subjects have the right to object to Brunel Surveys Ltd processing their data even if it is based on our legitimate interests. The right to withdraw consent – If you have given us your consent to process your data but change your mind later, you have the right to withdraw your consent at any time, and Brunel Surveys Ltd must stop processing your data. Brunel Surveys Ltd may change this notice from time to time in the future. Any such changes will be posted here and, where appropriate, notified to you in writing. We advise you to check back frequently to see any updates or changes.